Samsung doesn't want to take any chance when it comes to inserting the Galaxy Note 5's pen the right way. After the device was launched, many users started reporting that if the S Pen will be inserted in a wrong way, it would actually damage the internal S Pen sensor and without causing more damage it'll be practically impossible to remove the pen. Although the Korean company responded quickly, the damage was already done. Roughly after three months, Samsung has started shipping the device with a brand new image and warning showing how to insert the pen in the specified slot. At first the warning label was shown via a YouTube video uploaded by "J. Williams". 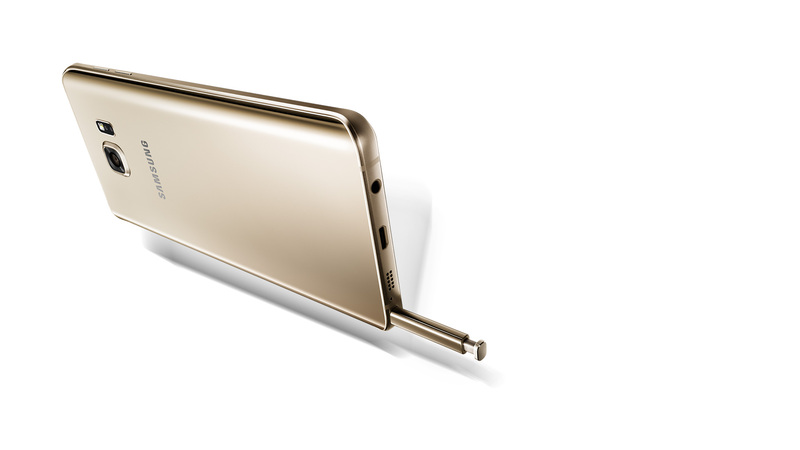 The video showcased T-Mobile Samsung Galaxy Note 5 Gold Platinum, and SamMobile made it surface on the internet. From this video, it is quite evident that the warning label says "Be sure to insert your S pen with the nib pointed inward. Inserting the S pen the wrong way can cause it to become stuck and can damage the pen and your phone". Also there are two pairs of images showing the correct and incorrect way of inserting the stylus. Interesting thing to note here is that in case of previous Note variants if someone would try to insert the pen in a wrong way, that person would experience an obstruction and it'll make the user realise that something is wrong. Sadly that's not the case with Note 5.